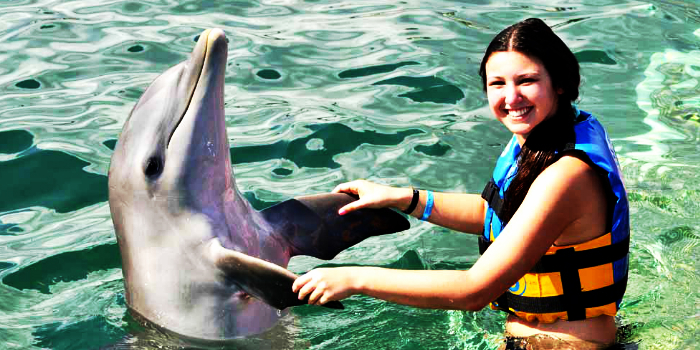 Dolphin Kids is an educational and interactive program in Vallarta, Mexico designed for children aged 4 to 9. 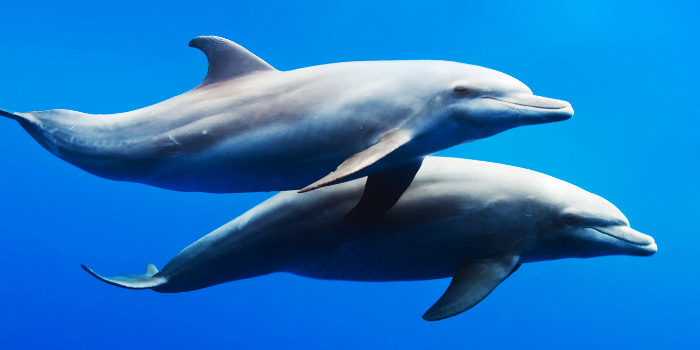 Dolphins have a way of capturing our hearts and imaginations. Maybe you have a future marine biologist on your hands who would love an opportunity to learn about these marine mammals. 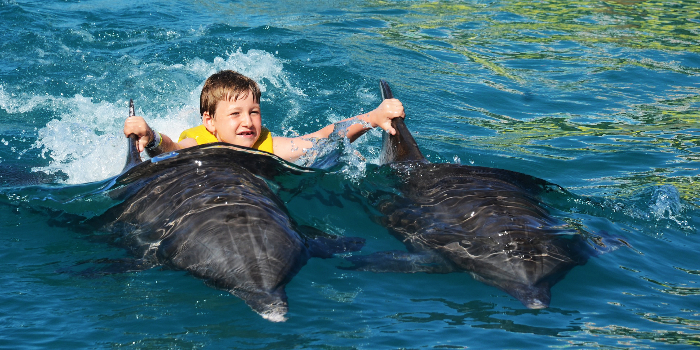 At Vallarta Adventures, we offer an interactive dolphin program specifically for kids because we believe that people of all ages should have the chance to interact with these amazing creatures. 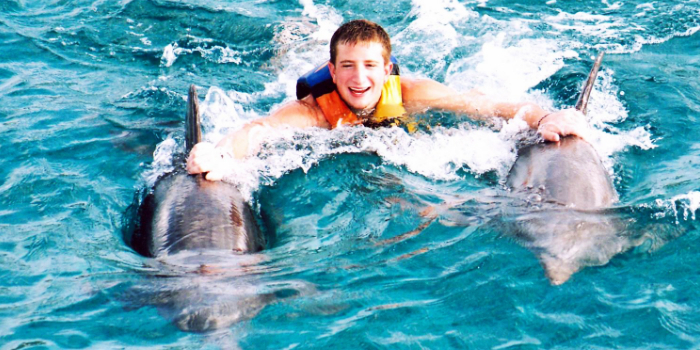 We keep our groups small so that every child has the chance to get some quality time with a dolphin. Your child will learn about these awesome animals poolside with one of our resident dolphin experts. From there, they will enter our maternity pool while being closely supervised. We use positive reinforcement techniques and offer an at-will program for our animals. This means our animals are not forced to interact with guests but do so on their own will. 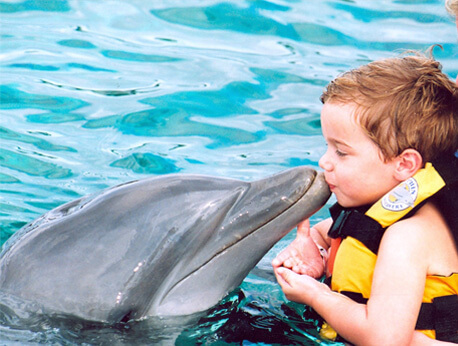 Our dolphins will come let you child pet, hug, and interact with them. Our staff has decades of experience working with these majestic animals so you can be sure that your child is in good hands with trained professionals. We will provide your little one with a towel and bottled water. Please make sure to have them ready in a bathing suit because they will be getting in the water soon after the program begins. Cameras are allowed in the guest observation area only so also remember to bring some extra cash for souvenirs and professional pictures. For the safety of our dolphins, we don't allow jewelry or sunscreen to be worn in the pools. Sunscreen can be detrimental to marine life. We do have biodegradable sunscreen available in our gift shop. Let us help your child learn and interact with one of nature’s most amazing animals with a Dolphin Kids Encounter at Vallarta Adventures.